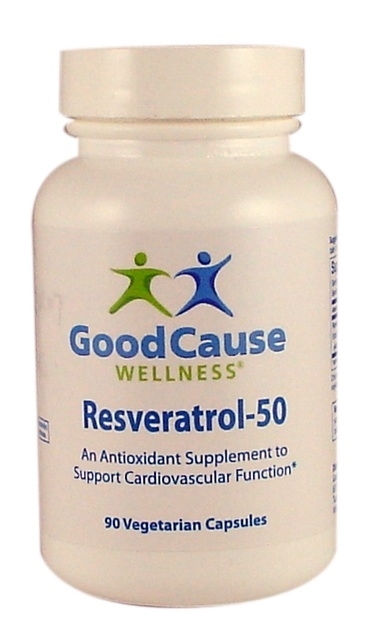 Resveratrol is a naturally occurring nutrient produced by many plants. It's commonly referred to as the "red wine nutrient" because resveratrol is present in the skin of red grapes. Why Should I Take Resveratrol? "The breadth of benefits (of resveratrol) is remarkable – cancer prevention, protection of the heart and brain from damage, reducing age-related diseases such as inflammation, reversing diabetes and obesity, and many more,” states the author of a study published in September 2009 at ScienceDaily.com. The antioxidant properties in resveratrol may help protect healthy cells and maintain optimal health. “Antioxidants like resveratrol are beneficial in preventing harmful elements in the body from attacking healthy cells,” as cited in “The 150 Healthiest Foods on Earth: The Surprising, Unbiased Truth About What You Should Eat and Why” by Jonny Bowden, and referenced at naturalnews.com. Are Resveratrol Capsules Better than drinking Red Wine? You can get the benefits of resveratrol from our capsules or red wine. However, there’s a significant difference in the amount of resveratrol in each source. A glass (8 oz.) of red wine contains about 1280 mcg of resveratrol. A single capsule of our Resveratrol-50 yields 50,000 mcg of resveratrol. Protecting against cancers (breast, colon, prostate, stomach pancreatic, and thyroid cancers). What Research Supports the Cancer Fighting Abilities of Resveratrol? As cited on NaturalNews.com the book "The Natural Pharmacy: Complete Home Reference to Natural Medicine" by Schuyler W. Lininger, Jr. DC states "A series of laboratory experiments suggests that resveratrol inhibits the development of cancer in animals and prevents the progression of cancer. However, human research is still needed in this area. In another set of animal studies, resveratrol was shown to inhibit both the acute and chronic phases of inflammation." The same website also cites the book "PDR for Nutritional Supplements" by Sheldon Saul HendlerRorvik. "A partial estrogen receptor agonist itself, resveratrol is believed by some researchers to be an estrogen-receptor antagonist in the presence of estrogen, resulting in breast cancer inhibition." Additionally, research at the University of Illinois Chicago found that animals given resveratrol showed a halt in the growth of damaged cells, which reduced the threat of cancer. What Research Supports the Anti-Diabetic Capabilities of Resveratrol? Scientists at the University of Texas Southwestern Medical Center in Dallas recently released results of a study that showed resveratrol many have anti-diabetic properties. The full story is available at NaturalNews.com. As a dietary supplement, take one capsule once or twice daily. Packaged in HDPE bottles that restrict moisture vapor and protect the freshness and integrity of the resveratrol. HDPE are also recyclable. This product is vegetarian and free of citrus, corn, egg, gluten, milk, sodium, soy, wheat, yeast, added sugars, synthetic dyes, artificial flavorings and preservatives.